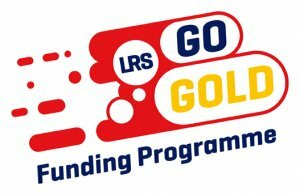 Leicester-Shire & Rutland Sport (LRS) and its partners are pleased to support talented individuals through the GO GOLD Funding Programme. The aim of GO GOLD is to support talented athletes and coaches who are being recognised by their National Governing Bodies as being our future Olympic, Paralympic, Special Olympic and Commonwealth Games participants and their support structure. Podium - funded by Leicestershire County Council, Leicester City Council and Rutland County Council, athletes and coaches from across Leicester-Shire & Rutland who are competing at Regional level or higher or coaching at Level 2 or above, can apply for funding. Please see the link below for the athletes and coaches currently funded by GO GOLD from our District.